Get the ultimate home entertainment package with this Pioneer Home Theatre System Designed by Andrew Jones. Bundle and save with this incredible speaker system designed by Pioneer’s Chief Speaker Engineer, Andrew Jones. As an internationally renowned speaker designer, Andrew Jones brings incredible expertise and passion to create speakers that boast amazing sound quality and design. 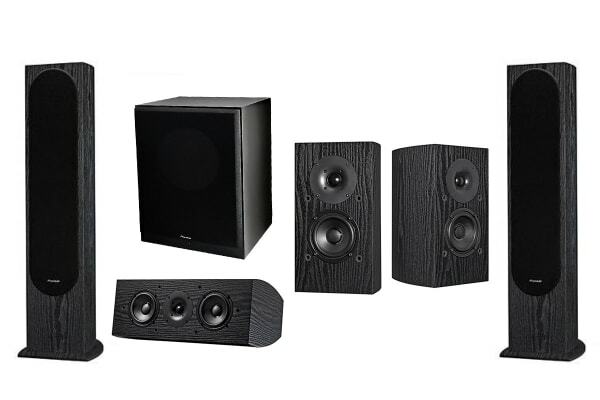 Get the ultimate entertainment system with this affordable bundle that includes 2 floor standing speakers, bookshelf speaker pair, incredible centre speaker and a powerful subwoofer. Featuring 3 woofers with oversized magnets for enhanced bass, these Pioneer Floorstanding speakers deliver exceptional sound quality. Get amazing sound quality with this incredible Pioneer Centre Speaker featuring dual woofers in a full sized cabinet for enhanced vocal performance. 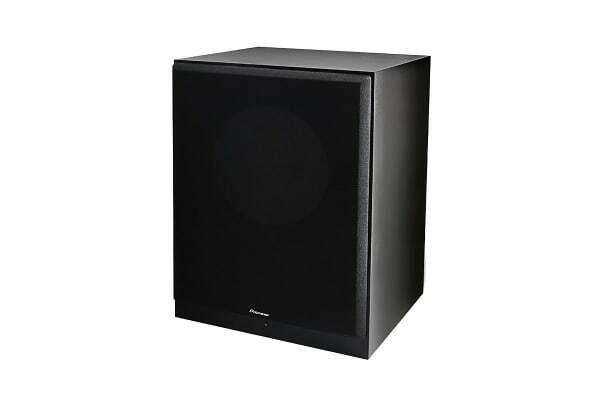 Boasting 30cm driver units that truly produce an unrivalled audio experience, this Pioneer Bass Reflex Powered Subwoofer ensures you feel every action scene with earth-quaking bass.